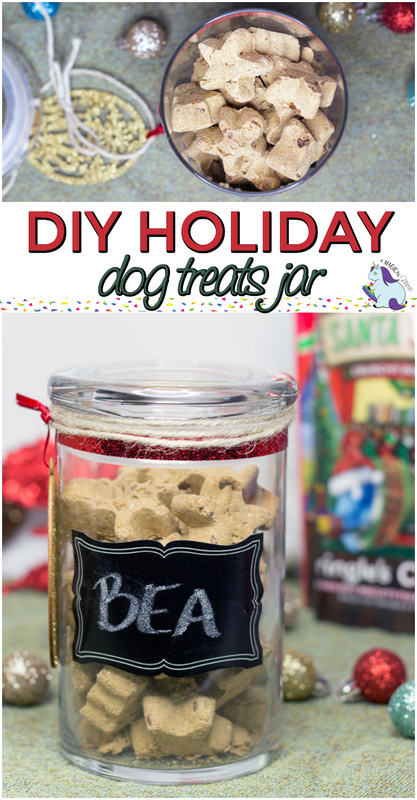 I wanted to create an easy DIY dog treats jar for this holiday season. The keyword being EASY. As much as I may try, I am not crafty by nature. 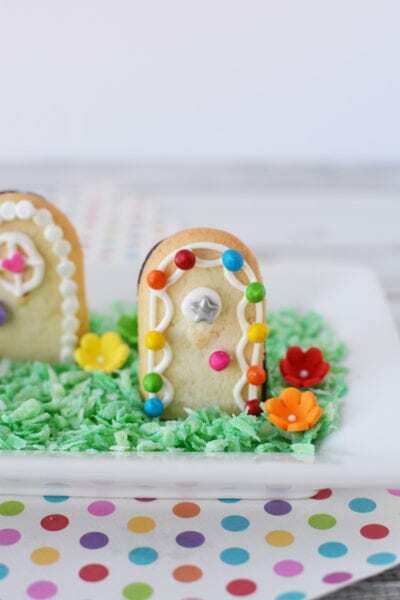 The ability to whip up a Pinterest-worthy project with little effort is not in my genes. Plus, aren’t we all swamped this time of year? Sometimes simple is best. 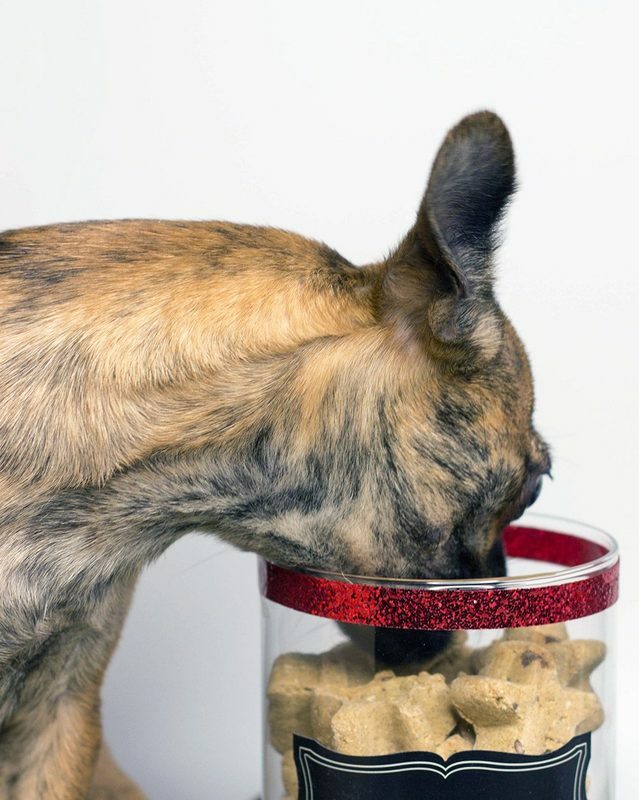 Especially, when it comes to gifts for pets, all the dogs care about is what’s inside the jar. She’s enjoying the treats so much she now spins around and does little tricks for them. We’ve definitely found the best gift for our dogs this holiday season. Look at those crunchy biscuits. With their cinnamon and oatmeal flavor, I’m almost tempted to take a bite. Like all BLUE snacks, BLUE Santa Snacks have no chicken (or poultry) by-product meals and are free of corn, wheat, and soy. 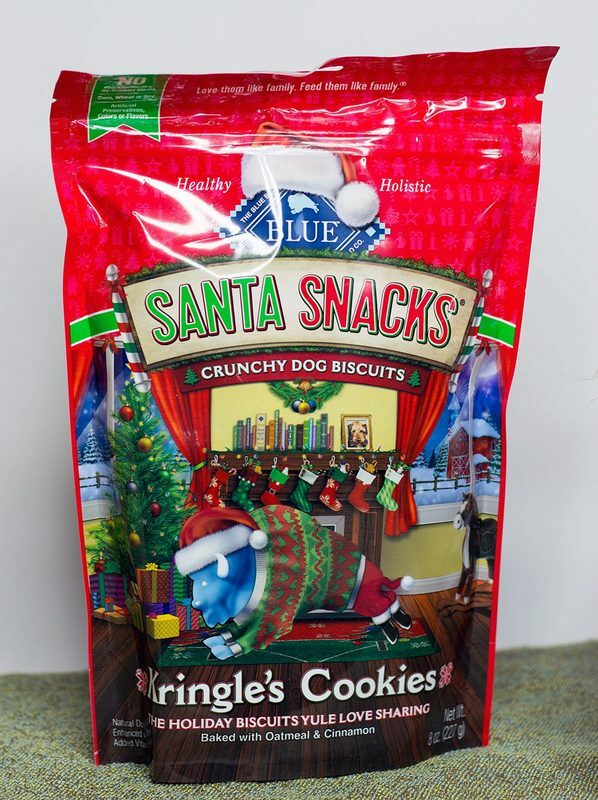 BLUE Santa Snacks for dogs are perfect for holiday gifting since they are in fun holiday shapes. Find Blue Buffalo BLUE Santa Snacks® for dogs at Kroger, Meijer, Target, Chewy, Pet Smart, and select regional retailers. The rest of the supplies are quite simple. I picked up a basic jar, ribbon, twine, and other decorations at my local craft store. See, super easy. 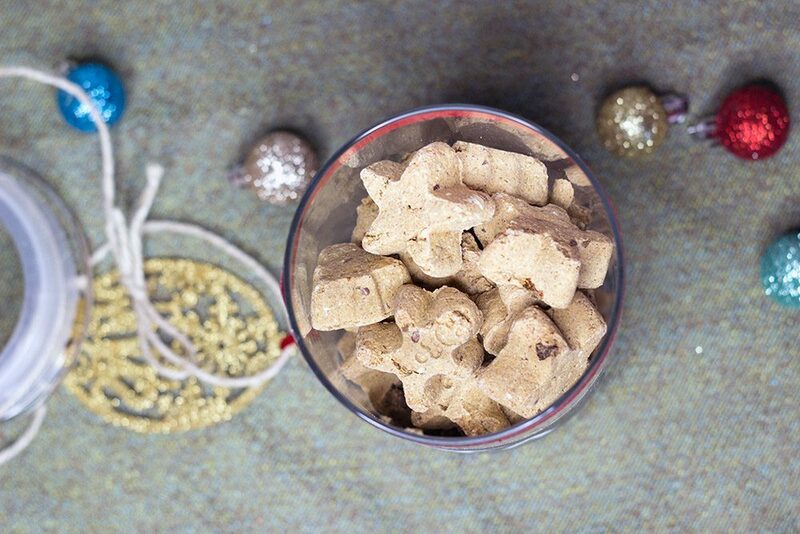 You can get as creative as you’d like with this DIY dog treats project. 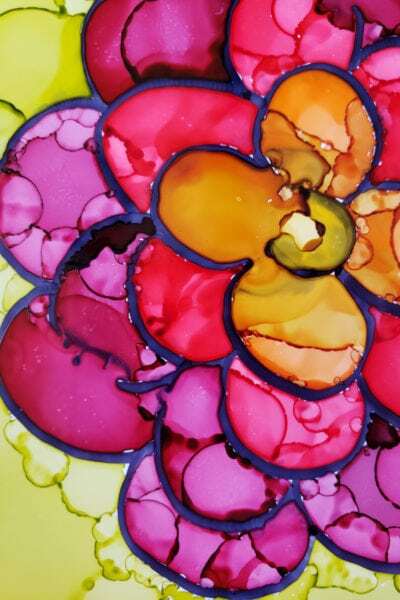 Turn a plain jar into a personalized work of art if you’re skilled like that. 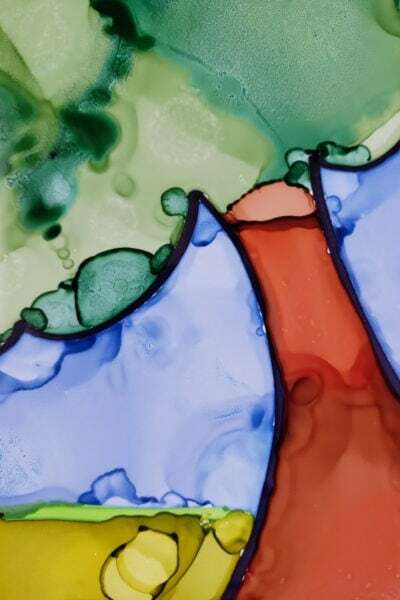 It’s the thought that counts, and all about putting your personal touches into this gift. The dogs care about what is inside, and that is the hearty and scrumptious BLUE Santa Snacks. Enter the BLUE “Naughty or Nice” holiday contest for your chance to win a $500 gift card to stock up on treats! 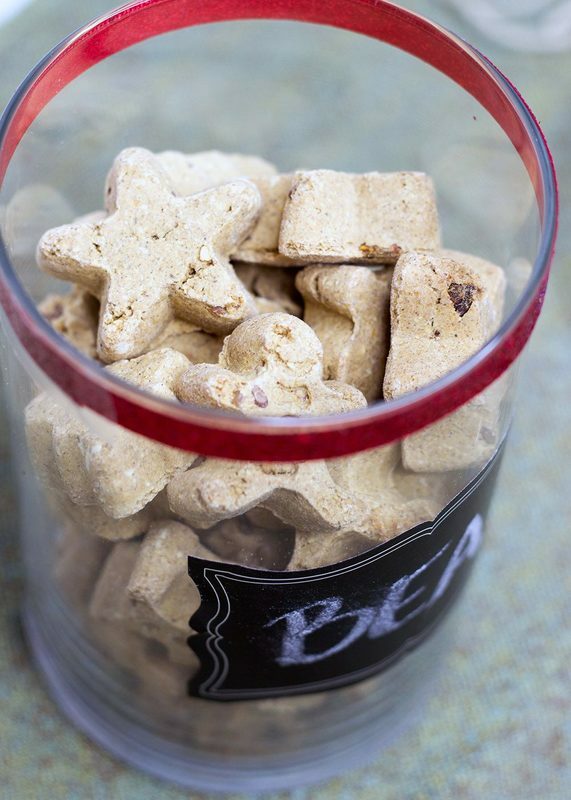 Who can you make a DIY dog treats jar for? 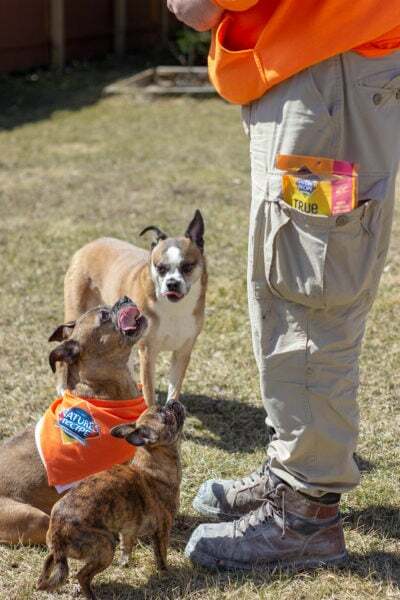 This post is sponsored by BLUE Santa Snacks® and the BlogPaws® Pet Influencer Network™. This is a great idea for dog owners. Bea looks like she agrees! I’m not a dog owner, but I can make a cat treat jar for us! Such super cute photos! I really like this idea and I know my sisters dog would love this present. This looks like a great DIY idea. I know our dog would love it. 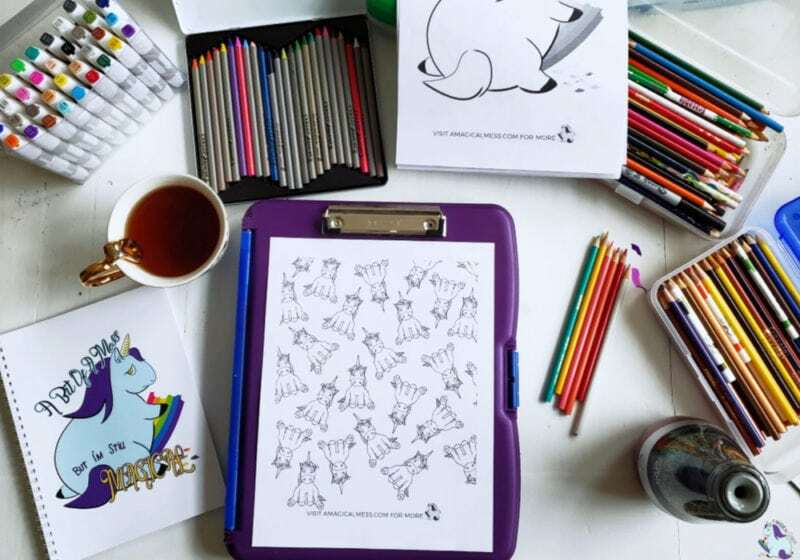 This would also makea nice gift for animal owners. These would be great to make my pup for Christmas! This is such a fun gift idea for any pooch parent. I know my next door neighbor would really enjoy receiving something so thoughtful, and so would her dog Benji! I think your dog is smiling!! So cute! ? It’s a really cute way to treat your dog, or a friend’s dog! That face! 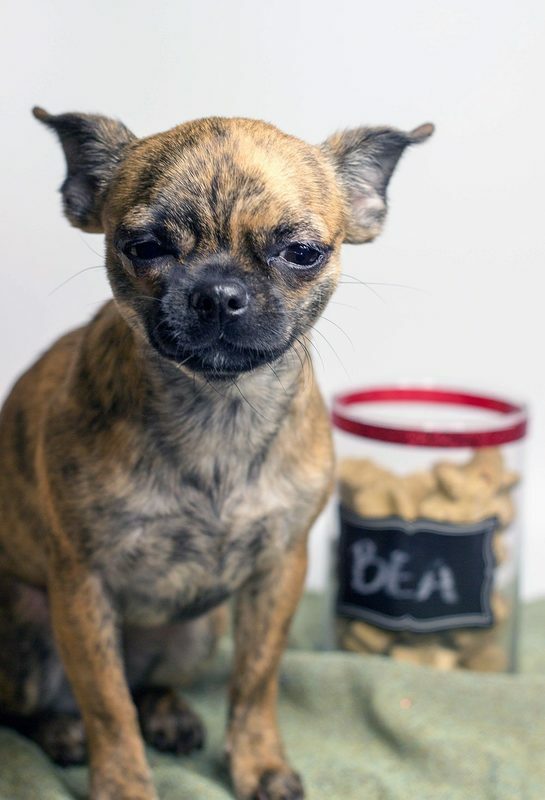 How could you resist giving Bea treats all the time?!? 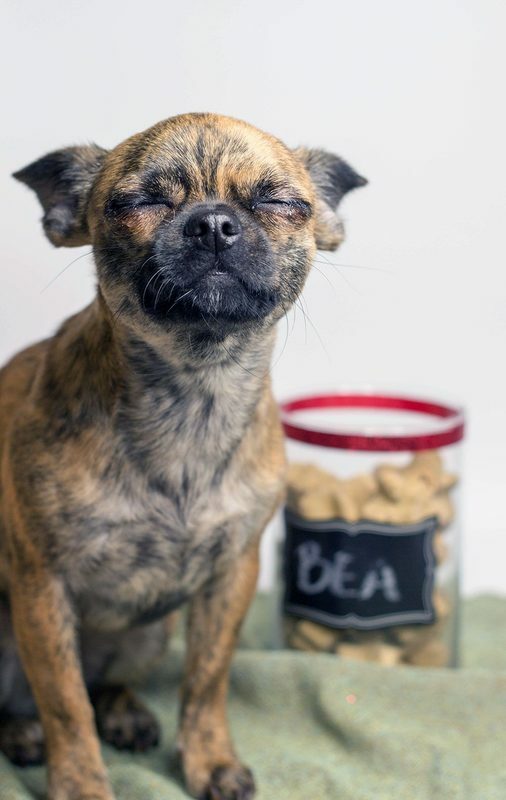 Love the DIY Jar you made to make treating your pup even more special. 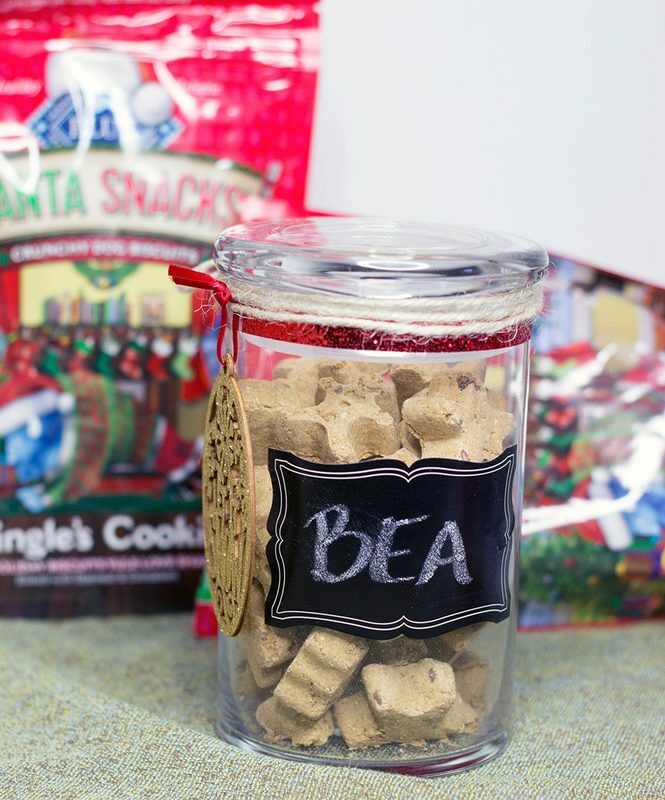 I love giving pet treats in a jar like this for a gift any time, not just for holidays. 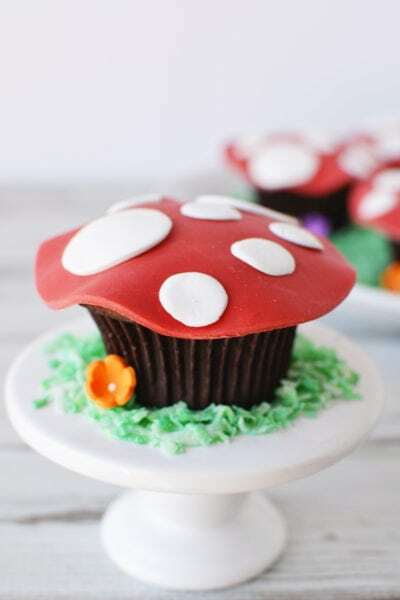 They are pretty easy to make from scratch too.